This being the last week of school, it is only fitting that we share a farewell with one another. The end of the year brings lots of farewells as we bring closure to our annual cycle of teaching and learning. Whether we are saying farewell to our students, colleagues who are retiring or moving, or our classrooms (admit it, you know you do), we have the bittersweet pleasure of closing one chapter, before the next begins. So for this last challenge, we hope you will help us tell the #EVSCstory by sharing photos with us that reflect the farewells that come with the end of another school year. NOTE: You absolutely DO NOT have to match the theme to share a picture with us. Feel free to share any photo that helps us tell the #EVSCstory at ANY time. 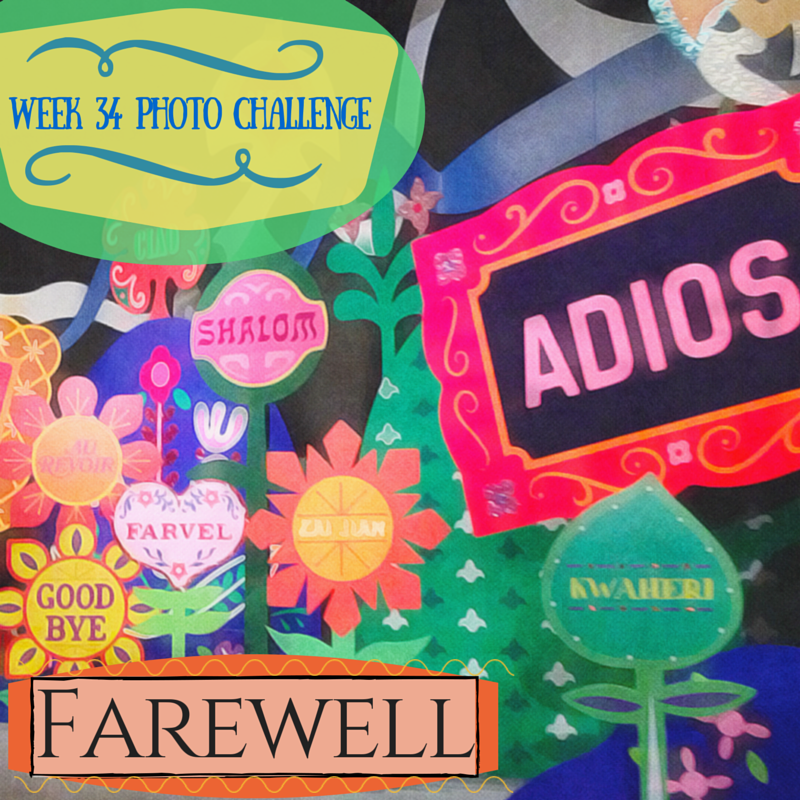 In a way, this post is a farewell to all of you since it is the last photo challenge of the year, but don’t worry! We’ll be back better than ever next August, with a whole new set of prompts! Feel free to use the #EVSCstory hashtag throughout the summer and let us know what great things you are doing to prepare and rejuvenate for next semester. This photo was shot at the end of the It’s A Small World Ride in Magic Kingdom at Walt Disney World. It was then edited in Brushstroke, a cool app that makes photos look like paintings. Finally, we added the text elements in Canva. You can share via Instagram- Simply post your Instagram photos using the hashtag #EVSCstory. Feel free to add other hashtags as well to indicate the theme (e.g. #Farewell), or add more information to the caption to help tell the story. You can share via Twitter- Post your photos to Twitter using the hashtag #EVSCstory. Again, we invite you to add other hashtags, including some of our EVSC hashtags like #evscchat. You can also include our Twitter handle (@evscicats) to ensure we see your pictures as soon as you post. You can share via Facebook- Visit our ICATS Facebook page, click the Message button in the upper-right corner, and in the text of the message give us your name, school, and the theme for the week. Be sure to attach the photo by clicking the Add Files button. While you are there, we’d love it if you liked our page :) OR, simply share your image on your own Facebook feed, and include the #EVSCstory hashtag. You can share via Google Drive- If social media isn’t your thing, feel free to share your photos directly with us through Google Drive. Use this link to access our shared folder. You will need to then click the blue Open in Drive button. Then drag your photo into the window, or click the red upload arrow in the upper-left to search for your photo and click Open. It would help us if you would name your photo with the week’s theme and your name and school. After each week’s challenge, we will post a link to the archive of the week’s photos here. Follow the link, and enjoy the story that unfolds! We’ve had so much fun collecting all of the great photos that you have shared this year (more than 1000 in all). Soon, we will share a collection of our favorites on the ICATS site. We hope you will join us next year to expand this project. In the meantime, take lots of photos, and share them with us!